We did our best to keep you entertained during this development sprint with a couple of blog posts ( and ). But now the sprint is over and it’s time for a new report. One of the main reasons to adopt Scrum was to ensure we make a good use of our development resources (i.e. developers’ time and brains) focusing on things that bring more value to our users. In the past we had the feeling that many important things were always postponed because the developers were flooded by other not so important stuff. Now that feeling is gone (to a great extent) and we have a more clear and shared view of the direction of our development efforts. But there is always a drawback. We have accumulated quite some unsolved low-priority bugs. That was an expected consequence, but still it was starting to feel wrong. On one hand, it makes us feel uncomfortable – replying “this will have to wait” so often is not nice, even if it’s for the shake a bigger goal. On the other hand, the amount of low-priority stuff was affecting the signal/noise ratio on Bugzilla, making harder to distinguish the important stuff. So far, dealing with those low-priority bug was something that each developer did on his own, as permitted by the time dedicated to Scrum. In sprint 26 we decided to make that effort an explicit part of the process and to devote a significant portion of the sprint to it. As a result we closed or reassigned a total of 135 bugs that were just sitting in our list. Yes, you did read it right. One hundred and thirty five bugs. On the previous sprint we already showed a screenshot of the installer using the new storage stack to calculate a partitioning proposal. Now the installer can go one step further. As you can see on this animation, the changes are now committed to the disk, meaning the system is actually partitioned, formatted and installed. The process is interrupted after installing the software, when trying to configure and install the bootloader. That was expected because yast2-bootloader has still not been adapted to use the new stack. First of all, because we wanted to leave some fun for sprint 27. But also because we used this sprint (26) to document all the requirements of yast2-bootloader in relation to the new storage stack. Now we have in place all the ingredients to cook an installable ISO. Recently openSUSE has adopted Weblate to perform and coordinate the translation of the software and the project’s web pages. 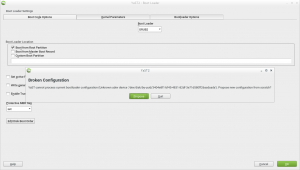 The openSUSE’s Weblate instance enables everybody (from dedicated translators to casual contributors) to take part in the process and makes possible to coordinate the translations of openSUSE with the ones for SUSE Enterprise Linux, boosting collaboration between the translators of both projects. As YaST developers, is of course our responsibility to ensure that openSUSE’s Weblate contains always the latest English strings to be translated. Making our developer’s life easier sometimes not only brings advantages for us but also for our users. Until now, after each code change we had to keep in mind to trigger the translation process for every added or changed English text. Sometimes we were not quick enough so that some English leftovers remained in our awesome YaST when being used in one of the 20 languages where the translation is normally 100% complete. Now we finally set up a Jenkins job to automate the process of triggering the translation update after code changes. 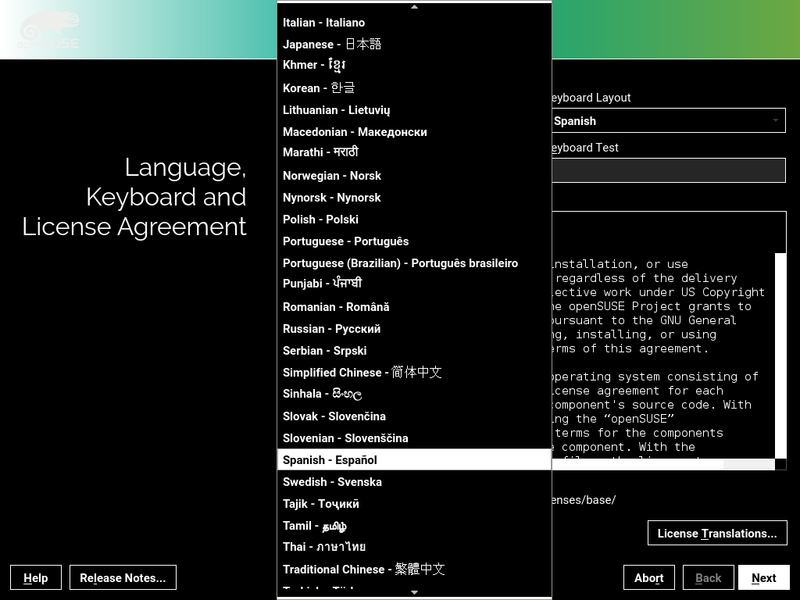 This saves the developers some work and makes the update of translations even faster. Looking at Weblate numbers, you can see we have 20 languages that are about 100% translated, another 20 that are translated more than 75% and 37 languages which are translated less than 75%. So we still need some help to bring all languages to 100% coverage. If you are willing to contribute, why not join our team of translators? Check out the localization guide to get in contact with the coordinators of your preferred language to learn about how to contribute with translations, reviews or by any other mean. We got some reports of systems not being able to work after the installation in scenarios in which the user had customized the list of packages to install. That happened because, although the bootloader component of YaST pre-selects for installation all the needed packages, the user can override that selection and manually disable the installation of those packages. 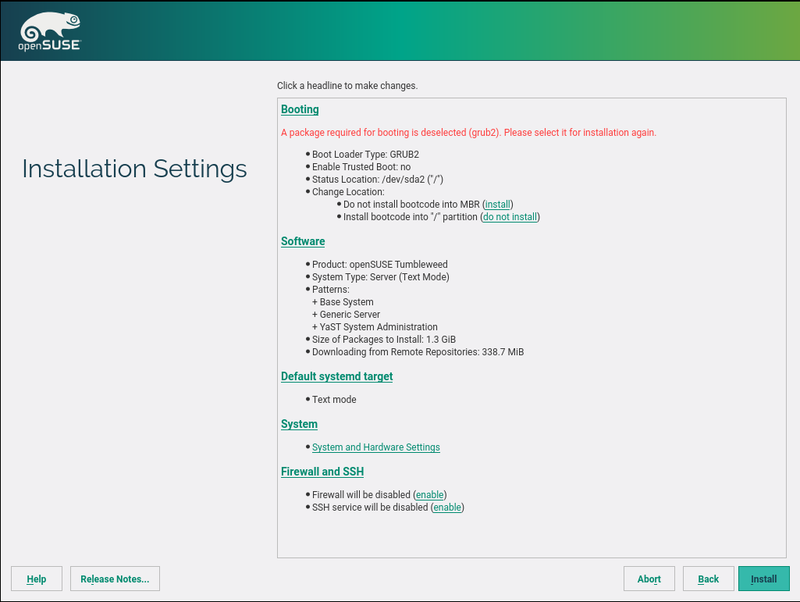 To prevent this situation, or at least to increase awareness of it, the installer now alerts in the summary screen (the last step before proceeding to installation) if some of the required packages is missing, as you can see in the screenshot below. We still allow the users to shoot their own feet if they insist, but now we warn them very clearly. During this sprint, we have been working to make the (open)SUSE installer accessible to people with low-vision impairment. We already blogged about it looking for feedback. Alternative style selection (color and font-sizes). Currently, we offer four options: default (no changes), high contrast (cyan/green/white/black), white on black and cyan on black. Those styles are just a proof of concept in order to test the code changes and, most important, to get feedback from you. A long-standing issue, which prevented to switch to high-contrast mode during installation (shift+F4), has been fixed. Although we have made some progress, it is still an ongoing effort and we hope to release more improvements during the upcoming weeks. There are situations in which YaST Bootloader is not able to read the system configuration. For example, when the udev device originally used by Grub2 is no longer available. 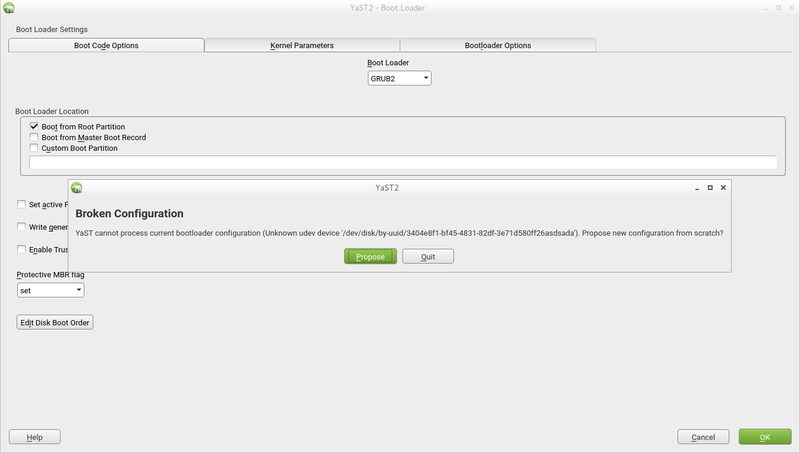 In the past that leaded to YaST crashes, requiring a manual fix of the bootloader configuration files. Now YaST correctly detects the situation and offers the option to propose a new configuration with correct devices. We have changed the default autorefresh flag for the new repositories added by YaST. In the past the autorefresh was enabled for all repositories except CD/DVD media and ISO files. With the new defaults the autorefresh is enabled only for remote repositories (like http, ftp, nfs,…). The reason is that some local repositories might not be always available (e.g. external hard disk, USB flash drive,…) and the automatic refresh might cause ugly errors when starting the package manager. Of course, you can still manually change the autorefresh flag after adding a repository if you need a different value. Note: The default has been changed in Tumbleweed distribution only, Leap 42.2 or SLE-12-SP2 keep the old defaults. The zypper behavior is unchanged as well, it by default disables autorefresh for all repositories. Only repositories imported from a .repo file have autorefresh enabled. See man zypper for more details. YaST Network is Swiss Army knife for network configuration which comprehends the management of routing, bonding, bridging and many other things. But, to be honest, the management of bridges was not in the best possible shape. It had quite some usability problems and it was not 100% consistent with the way in which bridges are managed nowadays by Wicked in (open)SUSE. Until now! This pull request with several screenshots and animations tries to summarize all the changes that have been done during this sprint. Like adapting old configuration files to the new conventions or unifying the UI to make it consistent with the one for managing bonding. “NONE” is shown instead of 0.0.0.0 for old bridge configuration. The bridge master is shown in the enslaved interface. The interfaces overview is updated after a bridge is modified. 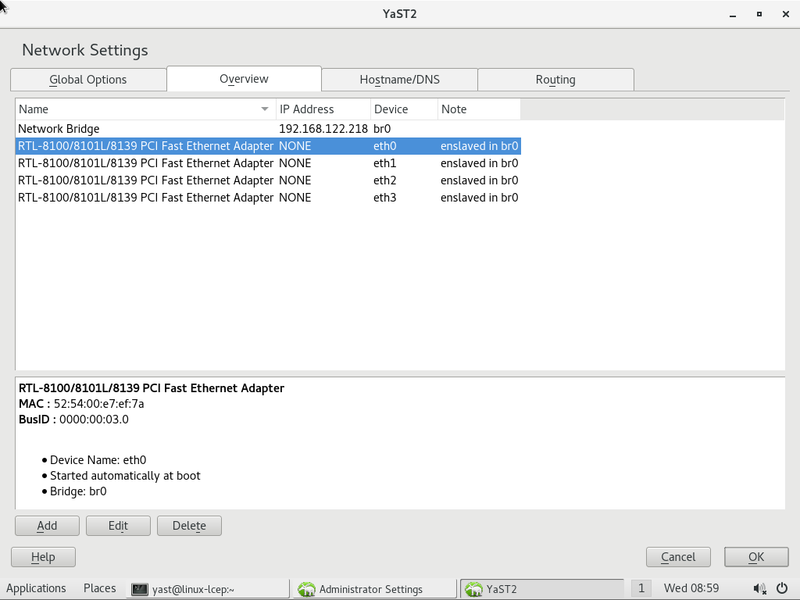 It was reported that yast2-network was slow in system with a lot of entries in the /etc/hosts file. We took that as an opportunity to test the new profiler support in YaST. The profiler revealed the problem was in some slow calls to SCR, the layer traditionally used by YaST to interact with the underlying system… which sounded like another opportunity. This time an opportunity to expand the use of CFA (the component we are developing to steady replace SCR) and its Augeas parser. Since Augeas already supports parsing of /etc/hosts files, it was quite straightforward to implement that into YaST… and the result is quite impressive. The time needed to execute the next command in a system containing a huge /etc/hosts with around 10,000 entries (quite an extreme case, we know) was reduced from 75 seconds to just 20. As you can see in this pull request, we also improved CFA itself, greatly reducing the time needed for reading configuration files with Augeas. Once again, we must conclude the report telling that this was just a small summary of all the work done during the sprint and that we will be back in three weeks with the next report. Or maybe before, now that we are starting to get used to blog more often. In any case, see you soon and don’t forget to have a lot of fun!